Set in a wee Scottish town just beyond Glasgow, Bill Forsyth’s 1981 comedy has become a cult classic on the British film timeline. Charming, innocent and hilarious, the story follows Gregory, a dorky gangly kid who is hopeless with a football and even more inept with girls. But when he meets Dorothy – who replaces him in the football team – Gregory falls further than he ever did on the pitch. A reminder of those naive days in the throes of teenage romance when it felt like the world depending on you getting ‘the one’ (OK, that’s the case now), Gregory’s Girl is the perfect weekend feel-good flick. 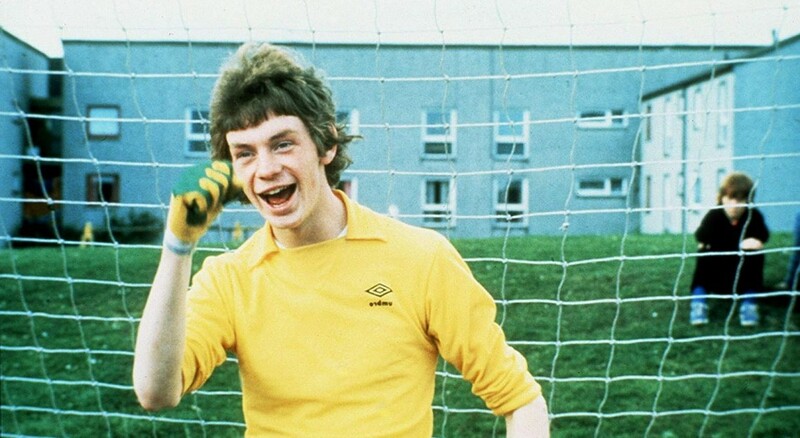 Gregory’s Girl plays at BFI Southbank on Saturday 4th August at 20:45. Tickets here. The latest London band to hold the ‘one to watch’ title, Crewel Intentions are just that – catch them live to see them at their most destructive. The new project from Palma Violets’ Chilli Jesson, Crewel Intentions builds of the Palma’s unsteady indie and mixes it with a sort of 70s troubadour mystique. With no recorded tracks to be found, seeing these guys live is the only option – and it’s one you should grab with both hands. Crewel Intentions play on 3rd August at The Social, 5 Little Portland St, W1W 7JD, alongside Jacob Slater. More info here. 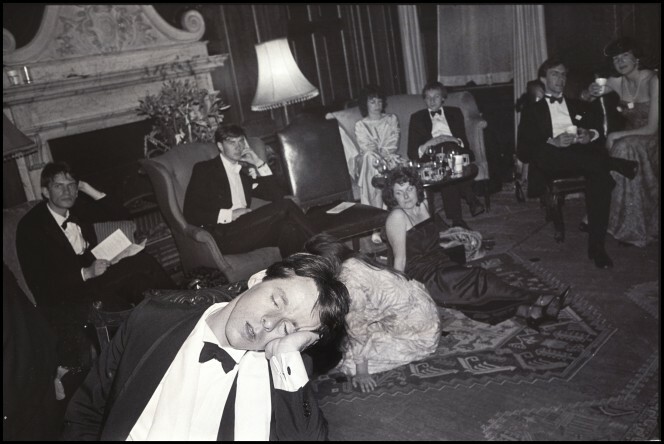 From 1981 to 1989, renowned Welsh photographer Dafydd Jones photographed the British upper classes getting loose at University balls, country manor dances and celebrity soirees. His work over for Tatler during a decade of immense social upheaval was a window into an exclusive world of tuxedos, ball gowns and signet rings. No doubt some equivalent exists today, but not with the same degree of reckless abandon documented by Jones in his pre-internet images. Comprising fourteen photographs at The Photographers Gallery, many of which were never ran in the magazine and overlooked by Jones at the time, this is a fascinating insight into the first career break of one of Britain’s most cherished social photographers. Dafydd Jones: The Last Hurrah is on show and available for acquisition at The Photographers’ Gallery, London from 3rd August. Trinity Hall, Cambridge, 14 June 1983. What better way to spend your weekend than cruising across East London being serenaded by the likes of YAK, HMLTD, Marika Hackman and Sean Nicholas Savage? No prior plans can live up to this, so cancel all yours and head down to Visions festival this weekend. Taking place across 5 venues and 3 outdoor spaces, Visions is always a major date in the festival calendar and a prime place for anyone looking to impress their mates with a Spotify playlist featuring all tomorrow’s talent. Ones to watch on this year’s line-up include: Black Midi, Sorry, Lauren Auder, M.I.L.K., Sons of Raphael and Sports Team. Weather Report: The latest report is predicting a continuation of this London heatwave. So whip out those shorts and we’ll meet you in the pit! Visions Festival takes place on Saturday 4th August. More info here. Returning after a two month hiatus is Chick ‘n’ Sours, the fried chicken joint that also do delicious cocktails has just opened a new space in Haggerston. It’s an initially head-scratching blend of the Deep South, East Asia and Central American, but that brief confusion is soon quelled once you sink your teeth into one of their renowned sandwiches (Seoul Destroyer is really something). As far as fried chicken goes, Chick ‘n’ Sours is certainly less kind to your wallet than your average Chicken Cottage, but that comes with the understanding that Chick ‘n’ Sours play in a separate division to ordinary chicken shops – placing a premium on the quality ingredients and herb fed chicken. That’s right, they’ve literally been seasoned since birth. Expect lots of kimchi and some of the best fried chicken in the city. Chick ‘n’ Sours is at 390, Kingsland Road, E8 4AA. See their opening times here.